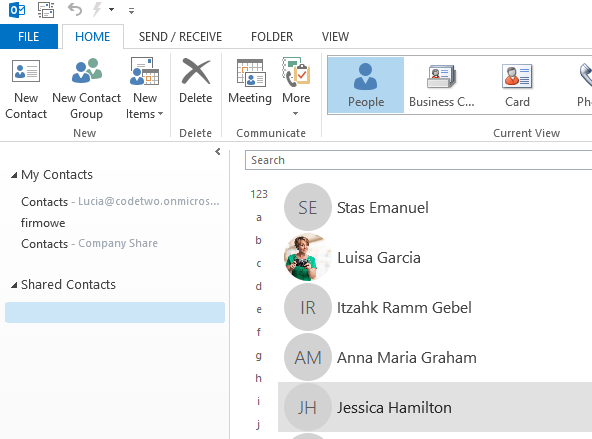 Home » How to transfer iPhone contacts to Outlook? You can easily transfer iPhone contacts to Outlook using CopyTrans Contacts. Unlike other transfer methods such as CSV file transfer, CopyTrans Contacts automatically copies all contact details including contact photos, phone numbers, emails and more. 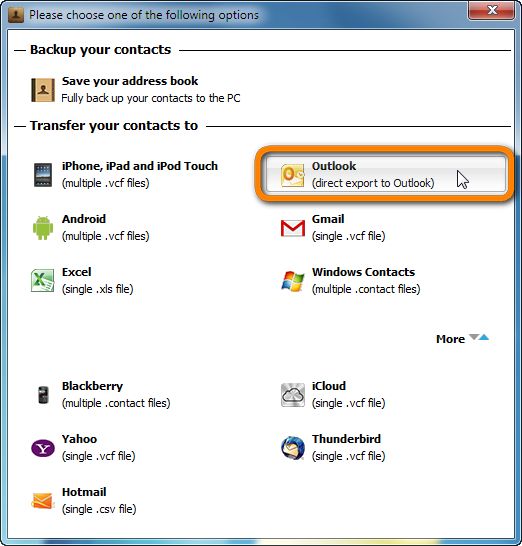 In this guide I’ll explain how to transfer your iPhone contacts directly to Outlook in just a few clicks. Install the program on your PC. If you need help installing CopyTrans Contacts, please refer to this article. Run CopyTrans Contacts and connect your iPhone. Your iPhone contacts will appear in the mail program window. To transfer all iPhone contacts to Outlook, tick the checkbox next to “Contacts”. To transfer only selected contacts, tick the checkbox next to each contact. Now click the “Export selected” button: NOTE: if you don’t see some or all of your contacts in the program window, please refer to the article CopyTrans Contacts doesn’t see my iPhone contacts. 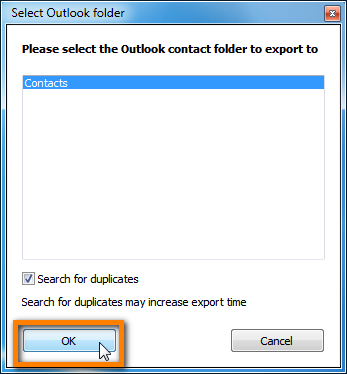 From the next window, select the Outlook contacts folder where you’d like to export your iPhone contacts. This would usually be your default “Contacts” folder. 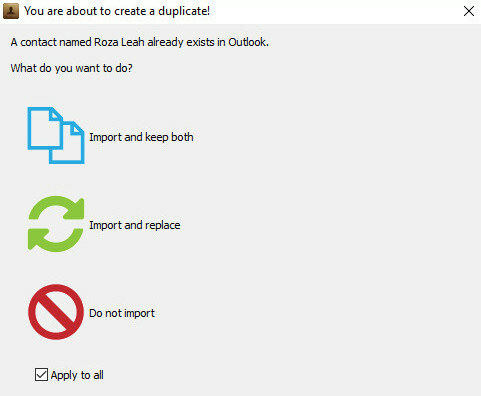 To prevent importing duplicate contacts to your Outlook, check the “Search for duplicates” option. 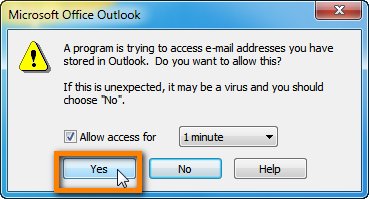 Click “OK”: NOTE: If you’re using a corporate network, this step may last up to 15 minutes because Outlook will search for all folders. Although CopyTrans Contacts looks frozen, please let it continue until the process is complete. This is how to easily and directly transfer your iPhone contacts to Outlook.